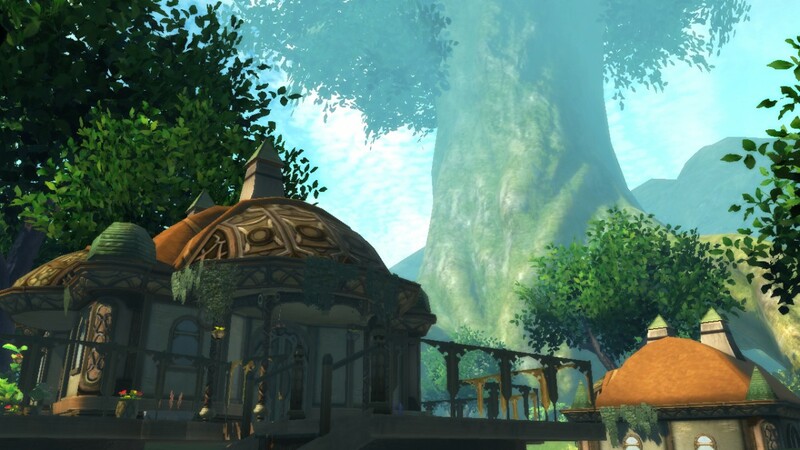 REVIEW - Tales Of Zestiria - Use a Potion! It’s hard for me to believe that the Tales series is celebrating its 20th anniversary – it’s probably owing to the fact that my love affair with the series didn’t actually begin until the release of 2003’s Tales of Symphonia. Here we are though in 2015, celebrating the series’ 20th year with the launch of the latest title, Tales of Zestiria. Whilst originally hitting Japan earlier this year exclusively on Playstation 3, the localised version has seen an upgrade to modern consoles with an improved current-gen version arriving on Playstation 4. Whilst we’ve seen plenty of Tales releases over the last few years, none have quite experimented with the formula as much as Tales of Zestiria. Whilst it has all the featuress you’d expect from a Tales release, it also has a few changes that may divide fans; whilst there are improvements there’s also a few minor issues too. Tales of Zestiria opens with the tale of a war between two nations; the Hyland Kingdom and the Rolance Empire. The bad nature and negative emotions brought forth from this war has caused many humans to transform into Hellions – evil creatures led by a mysterious being known as the ‘Lord of Calamity’. With the world facing an ‘era of disasters’, its only hope lies with the ‘Shepherd’ – a hero that appears during times of crisis. 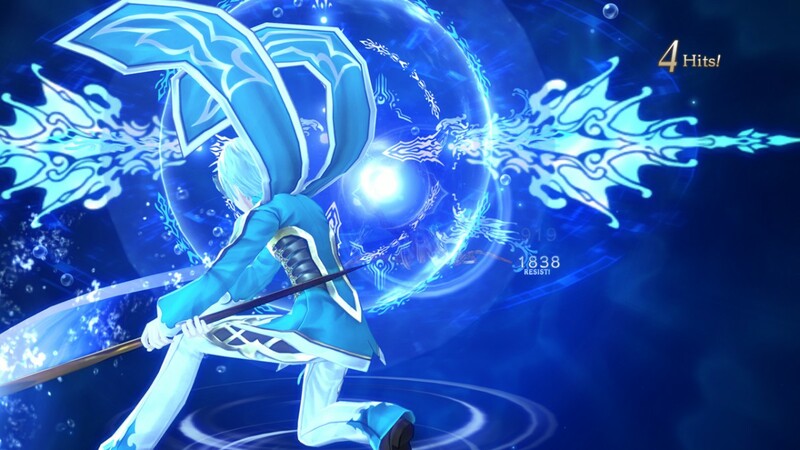 The game places you in the role of Sorey, a young man who lives among a mythical race known as the Seraphim. 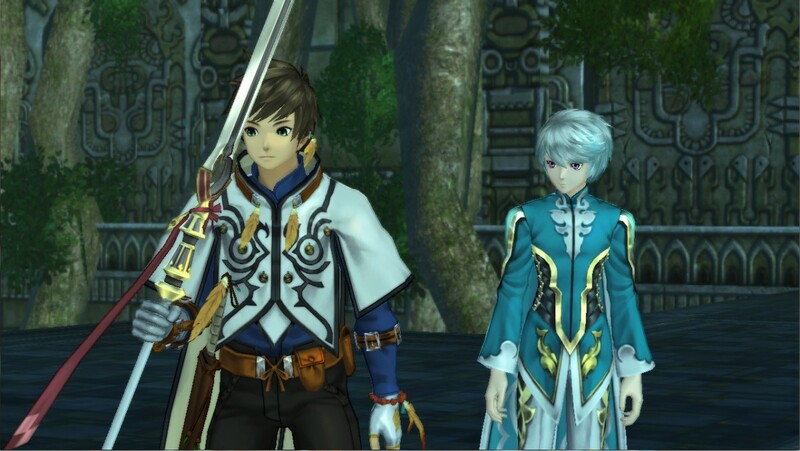 Whilst these Seraphim are typically invisible to the human eye, Sorey’s presence amongst them from birth has granted him to ability to see them. Whilst out exploring some ruins, Sorey and his best friend Mikleo (a Seraph) uncover a young girl from the Hyland Kingdom named Alisha. After guiding Alisha to safety and assisting her with her journey back home to the Hyland Kingdom, Sorey discovers that she is being pursued by a vicious Hellion named Lunarre. Sorey and Mikleo head out to warn her and thus their adventure begins. Tales of Zestiria doesn’t just consist of protecting Alisha of course, but sees Sorey becoming the ‘Shepherd’ and leading the quest to save the land from the ‘Lord of Calamity’. It has a very traditional JRPG feel to it with a colourful cast and plenty of twists and turns through the heroes’ perilous journey to cleanse the land of malevolence. Overall the story of Tales of Zesitiria is enjoyable, though it does have a few pacing issues to begin with. With so many unusual concepts and character interactions taking place in the first few hours, it can be a little difficult to follow exactly what is going on. Fortunately, as you progress and become more aware of the lore of the world things start to fit into place. The story as a whole feels like it has a much more serious tone than previous Tales entries; it’s unusual seeing as the series has never been one to shy away from including humour and even instances of perversion in its main storyline. Instead, the theme of despair and betrayal takes centre stage here. That’s not to say there’s no humour to be found in the game though – there are still moments that will make you genuinely laugh out loud. The cast are very likable, although admittedly do fit some of your standard JRPG stereotypes; you have your brooding mystery man, your silly and over-excitable heroine along with the hero that knows more than she’s letting on. Each character is full of personality though and their interactions with each other are some of the most entertaining I’ve seen in any Tales game; a testament to the high quality of the game’s script. This is all the more apparent in the infamous skits – random conversations between party members that both fill in minor plot points and show the relationship between characters. The skits are very entertaining and full of both jokes and serious plot developments. Unfortunately though, Tales Of Zestiria only shows you skits at specific ‘points of interest’, whilst resting at an inn or at save points. Fans of the Tales series are used to them appearing randomly throughout gameplay, so it’s a bit unusual and annoying that their appearances are so restricted. 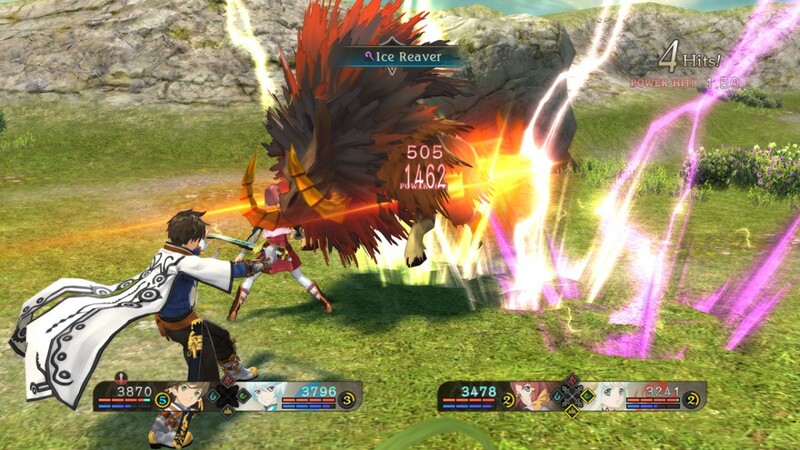 The Tales series is known for its ‘Linear Motion Battle System’, an action-based battle system that typically evolves between series entries. This time around, the battle system features similarities to 2012’s Tales of Graces with a focus on using two different attack types whilst sidestepping to avoid your opponents. The attack types mainly consist of ‘martial artes’ (a quick, standard attack) and ‘hidden artes’ (more powerful but energy consuming attacks). Your Seraphim allies use ‘seraphic artes’ instead of ‘hidden artes’ – essentially just a more powerful form of ‘hidden artes’. Each arte has advantages against each other – for example, ‘hidden artes’ are strong against enemies that focus on using ‘martial artes’. There’s a huge focus on sidestepping in the game. Using the square button blocks enemy attacks, but nudging the analogue stick in the corresponding direction with it will allow you to quickly side-step away. If you time it perfectly to correspond with an enemy’s attack then it’ll also give a big boost to your energy meter. It allows more flexibility with your defence – you aren’t limited to just blocking enemy attacks and mastery of sidestepping will give you a huge advantage against even the toughest foes. Your party consists of two human characters that are each linked with a Seraph partner – each Seraph representing one of four elements. Whilst the humans are compulsory, you can switch between Seraphs using the D-Pad. Some battles are best suited for water elements, whilst others may require fire; the fact you can change so easily means you are never at a disadvantage. You also have the benefit that if a Seraph is unconscious you can still switch them over – whilst they are out of battle they will then recover their health and after a short time can be called back to action. The emphasis in switching characters mid-battle adds a new dimension to the game that means no character ever gets neglected – a common trend in RPGs that have a wide range of party members. An interesting new feature introduced in the battle system this time around is Armatization. Both human characters can perform Armatization with their linked Seraph – a fusion between them that gives you enhanced stats, a new range of attacks that utilise that Seraph’s element and a sweet new look. There’s no time limit to Armatization so you’re able to reap its benefits as long as you like – the only downside is that the Armatized Seraph isn’t available as an extra party member, reducing your party count by one whilst in use. It’s a neat dynamic and works really well; certain battles can be won or lost through appropriate use of Armatization. You may find that you may end up overusing it though – there was rarely a battle where I didn’t take advantage of the feature. Perhaps the biggest change to the battle system is that all encounters take place in real-time; gone are the days of transporting to a separate battle map. Encounters instead cover the area of contact made each enemy. It certainly makes battles a lot more streamlined and the omission of the loading times between battles is a plus. However, I can’t help but to feel as though in order to integrate this feature the developers had to make dungeon areas slightly larger and more devoid of obstacles, giving an almost empty feeling. It’s purely an assumption on my end though. Combat in the game is very quick-paced and free flowing – you’ll never get bored in battle. I did find that it became a little easy though; most battles against standard enemies were a breeze, with only the occasional boss providing a bit of a challenge. Fortunately, those seeking more of a punishing experience can always adjust the difficulty setting to something that suits them. I did face a couple of minor issues with the frame rate stuttering when using an attack on multiple enemies but it was nothing game breaking. The environments throughout the game are a consistently well designed. Each town you visit looks great, each having its own unique look and bustling with both NPCs and things to see. The same can be said for most of the field environments – they’re typically full of life with flora and fauna aplenty. Admittedly there are some areas that seem a little barren, but that comes hand in hand with the sense of grandeur the sheer size of each field evokes. Tales of Zesitiria’s weakest environments are the dungeons. Some dungeons suffer with the same simple and often symmetrical designs that plagued Tales of Xillia. You’re often left feeling like you’re constantly exploring the same dungeon, with the same process of puzzles repeating constantly. There are some dungeons that stand out – the ‘Seraph Trial’ dungeons add extra variety with themed puzzles and a more unique look whilst the final dungeon in the game is maze-like and full of optional bosses. It’s just a shame that this variety isn’t consistent throughout the game. The Tales series has always provided quality in art design and the same can be said for Tales of Zestiria. Each area is full of bright, vibrant colours fitting to the setting, whilst character and enemy designs are fantastic too. There are even neat effects in some locations such as the shadows of the clouds hitting the ground and light shining through trees – they may be small details but they give locations a lot more character. 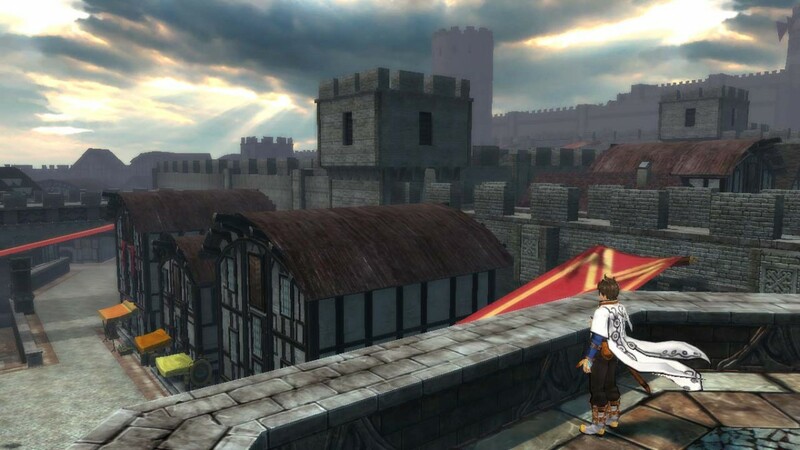 The only real issue I had is that at times you can clearly see that it’s just an improved Playstation 3 game; there’s nothing that really stands out at current-gen. Whilst this isn’t a huge issue, it does leave you wondering the potential the graphics could reach with a Tales game designed specifically for newer consoles. Besides that though, the game is graphically sound with the exception of a few odd textures here and there. The game introduces a couple of new features such as the ‘Lords of the Land’ and ‘Normins’. ‘Lords of the Land’ sees certain regions of the game come under the influence of a particular Lord; by defeating enemies in that area and donating items to that Lord you are given access to extra bonuses for that area. It’s a neat concept but not something I used a whole lot of – you explore so much in the game there’s no real need to focus on improving your bonuses in a particular region all that much. ‘Normins’ however are a neat addition that come with a lot of benefits. ‘Normins’ are small, colourful creatures that can be found hidden throughout the world. When you find them you’re able to attach them to your equipment – each one carries a different bonus so proper use of them can give you a huge advantage in battles. Tales of Zestiria has a big focus on the stats of your equipment, so the boost ‘Normins’ offer can play quite a big role in your character’s set up. Returning to provide music for the game are series veterans Motoi Sakuraba and Go Shiina – again, they’ve done a fantastic job. 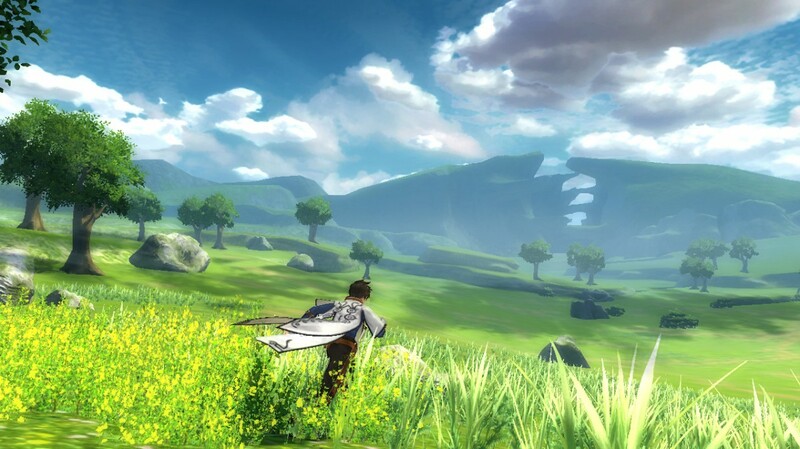 I’d even go as far as saying that the score of Tales of Zestiria is one of the best yet. There’s a good blend of music with tunes that give the feeling of a great adventure but also more melancholic pieces that fit with the more forlorn themes of the game. Something that particularly stood out though was the opening theme song – it’s awesome. Seriously, you need to give it a listen. There is no doubting that Tales of Zestiria is a good game – fans of the Tales series and JRPGs alike are going to have a great time with playing through and with a plethora of side quests to complete it’ll last a great while. However, I can’t help but to feel some of the evolutions to the gameplay need fine tuning. New additions such as the real-time battles result in bigger but empty feeling dungeons. Whilst that isn’t the case for every dungeon in the game, I feel like the quality is inconsistent. I hate how you access the skits this time around too; I’d much rather them appear constantly as you’re playing through the game. Aside from those issues Tales of Zestiria is another great addition to the series. The battle system is fantastic, the story and character interactions well written and the music absolutely amazing. 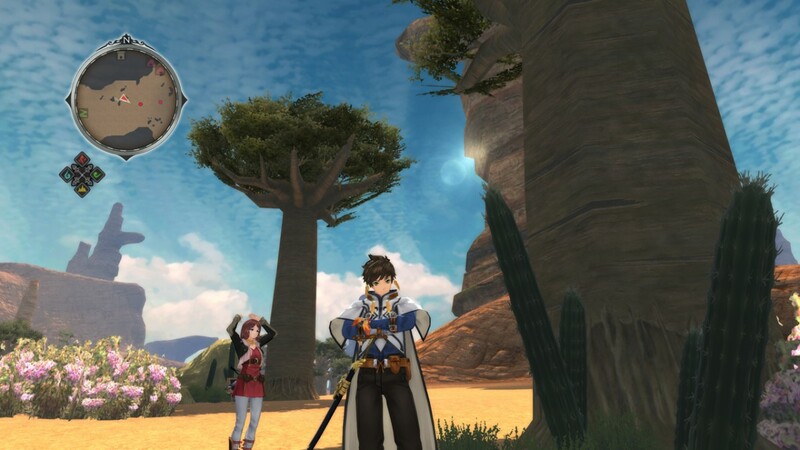 The series has been going now for 20 years and it doesn’t look like slowing down anytime soon – if Tales of Zestiria is anything to go by the series certainly still has a bright future. Bring on Tales of Berseria!